This is the bonsai you will receive. Outstanding shape and proportions. A beautiful easy to care for indoor bonsai variety which has small purple fruits as it matures and lovely foliage colour. This bonsai looks very pretty in this contemporary black pot. Free delivery to most areas. Full care instructions included. 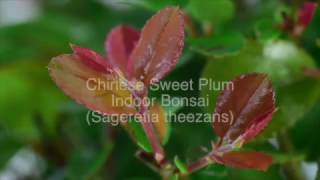 Exquisite Indoor bonsai which displays small purple fruits as it matures. Wonderful shape and highly defined branch structure. * Pot details: Contemporary black glazed ceramic bonsai pot.